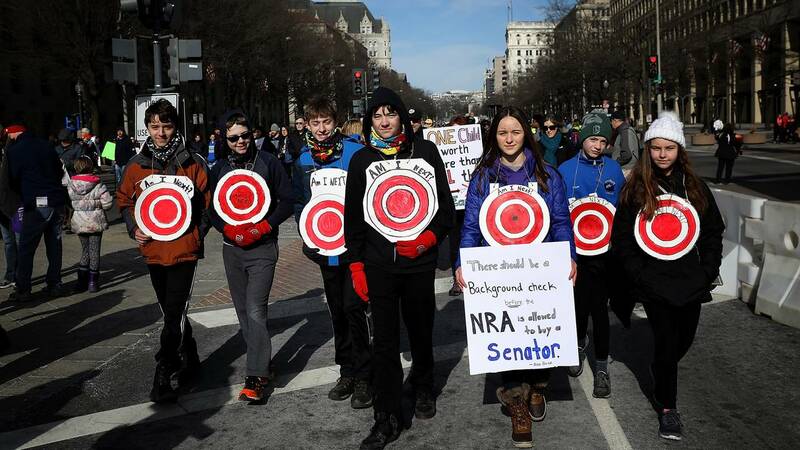 Students from Centreville, Virginia, wear targets on their chests as they arrive for the March for Our Lives rally in Washington, D.C.
(CNN) - Demonstrators brought more than passion to the March for Our Lives protests across the world on Saturday. They also brought imagination -- and even some humor -- in the signs they carried. Students from Centreville, Virginia, wear targets on their chests at the rally in Washington, DC. One carried a sign that said, "There should be background check before the NRA is allowed to buy a senator." 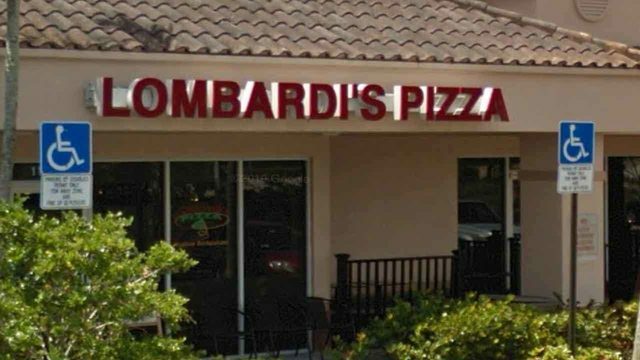 An often-repeated thought, expressed on a sign in Washington, DC: "I'm joining whatever political party those kids in Florida just started." This 9-year-old came from Connecticut for the march in Washington. His sign says, "I wish Obama had taken your guns." In Philadelphia, a sign warned of displeasure from one of the ultimate authority figures: "Now you've pissed off grandma." A group of protesters got together in Wichita, Kansas, to deliver this message: "Enough is Enough." Plenty of teachers hit the streets. In Washington, DC, this educator's sign says, "My students are more important than your guns." A student from Baltimore, Maryland, carried a sign in Washington asking the question on the mind of so many students: "Am I next?" "Arms are for hugging," says the sign held by Derrick Johnson, 5. He and his brother David Johnson, 3 joined others on the steps of the state capitol in Charleston, West Virginia. A boy's sign at the Washington rally delivers a simple message: "Warning: Do not play with guns." In Madrid, Spain, Lucia Smith carried a sign that said, "Your right to rifles. My right to life." Her parent, Aiko Smith, told CNN that Lucia worries about returning to the US and going to school there because of the violence. "As a child she's not allowed a political voice through the vote, but schoolchildren have to face the brutal consequences of irresponsible gun policy and inept or impotent politicians," Aiko Smith said. "So it seemed important to give her a way to do something -- to at least make a statement and stand in solidarity with other American children."